There are two issues which Arizona residents must deal with when charged with driving under the influence (DUI). The first is a criminal charge. This means going to Court, entering a plea, and possibly going to trial. The second issue is with the Motor Vehicle Division (MVD). The MVD will automatically suspend a license for 15 days after a DUI has been charged. Our Phoenix DUI attorney assists people through both the criminal case and the MVD process. If you have been stopped for DUI then you are facing potential penalties and the loss of your driving privileges. Handling this matter on your own is not a do-it-yourself project. Contact the Barber Law Group today to speak with a criminal defense lawyer. 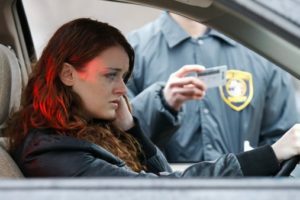 There are several ways in which one may be able to fight a DUI charge. If the arresting officer did not have reasonable suspicion to stop your vehicle then your Fourth Amendment rights may been violated. It may also be possible to challenge the evidence if the field testing equipment was not properly calibrated or if blood samples were not properly handled. Many make the mistake of taking the first plea offer in a DUI case without exploring these possibilities. Hiring an attorney to assist you with the process can make all the difference in how your case turns out. Bretton Barber is a Phoenix attorney protecting the rights of Arizona residents in DUI cases. Bretton will immediately review the arrest reports, toxicology reports, and any other available evidence to determine if one’s rights were violated by the police. He will file any necessary motions and challenges to the evidence. He will ensure that you are prepared for any evidentiary hearings and will stay in regular contact with you throughout the process. Bretton regularly provides clients with his cell phone number so they can have their questions answered. Do not make the mistake of thinking that a DUI is “no big deal” and that you should just accept the first plea offer. Call our office today to speak with a lawyer. In addition to Phoenix we represent defendants in other Maricopa County cities such as Mesa, Glendale, Scottsdale, Chandler, and Gilbert. We also assist Pima County residents in Tucson. Many Phoenix residents are surprised to find that their driver’s license remains suspended once the criminal aspect of their DUI case has been completed. Bretton Barber stays with his clients and assists them through the MVD process as well. You are not entitled to an attorney in your MVD case. Maricopa County residents who do not hire an attorney sometimes find that their license remains suspended far longer than necessary. The Barber Law Group fights to discontinue license suspensions and to restore work and school driving privileges when possible. When you are stopped for a DUI then fixing the matter is not a do-it-yourself project. Call Bretton today and schedule a free consultation.